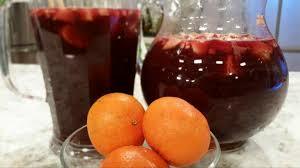 Sangria Criolla - Puerto Rican Sangria - Tienditadepuertorico.com - Buy Puertorican Food Here!! 1 Combine all of the ingredients in a pitcher. Chill for at leat 1 hour before serving.